So that was me in 2009. Just out of Uni, 13kg heavier than when I started, (all of it fat) and I hadn’t had a relationship in 3 years. Something needed to change, I needed to change. Luckily I had just been hired as a fitness instructor so had access to a gym. And I had a degree in sports science. Which should have helped, but didn’t! You see the knowledge I had gained from uni wasn’t gym based. I could name every muscle in the body, and tell you how they worked. But I couldn’t tell you HOW to work them. How I stopped being a fat trainer. So I basically had to re-learn everything. It took 2 years but I was finally down to my pre-uni weight. In fact I got as lean as 9% at one point, or what the body fat testing machine told me was 9% (Probably closer to 13% in my opinion!). I didn’t do anything fancy. No German Volume Training or 5×5. I just did some weights, and 20 minutes HIIT. And stuck at it 5x a week for 2 years whilst eating everything in sight! You see, some trainers will have you believe that getting in shape is complicated. And for people looking to get “Model fit” it can be. But the main job of a trainer is to keep you going, to make sure that you stick to your program, and stick to your calorie targets. To support you, and make sure you know what you’re doing, and why you’re doing it. Stick with any program long enough and you’ll get results. Stick with the perfect program for you and you will get better results, in a quicker time. P.S. 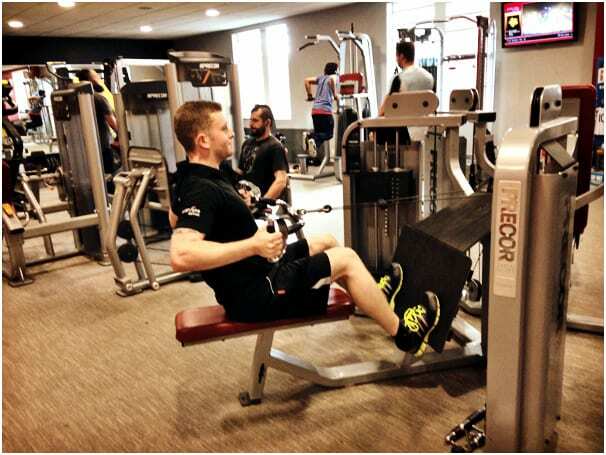 To see another success story, check out Colin’s transformation in this article. Guy lost 37.5kg within a year and increased his deadlift from 60kg to 160kg, pretty impressive huh?